In my office we all have a habit of bringing in various treats to share with each other throughout the year. (I know rough environment to be working in right?) Several years back we had an awesome (student assistant named Sarah. 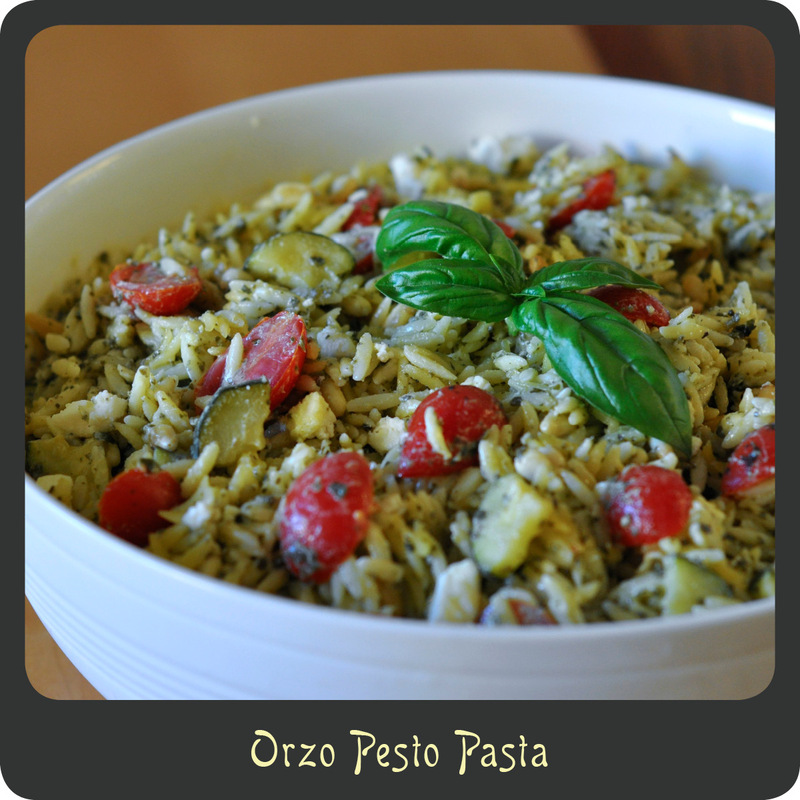 One day Sarah brought in this incredible orzo pesto pasta salad. I was in love! (With both Sarah and her pasta. Sarah was awesome.) She made her own pesto from scratch and I will not lie, I was impressed. This is the perfect summer salad. You have the seasonally fresh tomatoes and zucchini mixed with tangy vinegar and pesto giving it a wonderfully light and refreshing flavor. I make it several times of year and whenever I am generous enough to share with my friends I am asked for the recipe. It is definitely a favorite in our household. My son was even eating it by the bowlful when he was 1 1/2 years old. If you are looking for a tasty recipe for any summer cookouts or BBQs then search no further. This is perfect. 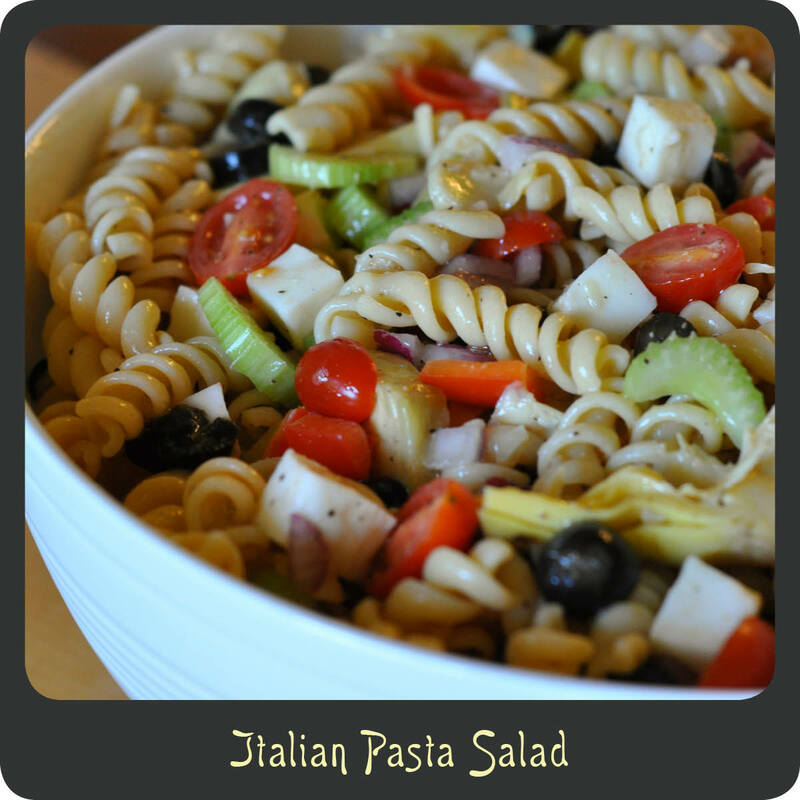 While that little box of orzo may not look like much, it expands a great deal so this makes a very decent sized bowl of the tasty pasta salad. Note: I save a couple of tablespoons of the feta and pine nuts to garnish the top of the salad with. Cook orzo pasta per package instructions. While the orzo is cooking, heat olive oil in a small skillet over medium high heat. Add zucchini and season with salt and pepper. Cook the zucchini for 3–4 minutes just slightly cooking it and then remove from heat. Drain the orzo and place in a large mixing bowl. Add the feta and pesto stirring to combine. Drizzle the vinegar while stirring. Stir in the cooked zucchini, tomatoes, and pine nuts. Transfer to a serving bowl and garnish with extra feta and pine nuts if you saved any. Refrigerate for at least 2–3 hours before serving.